TrueType Fonts (ttf) have become indispensable to style the text in a document, and it is compatible with the other Operating system also. Suppose you have prepared a presentation for a meeting, and used some unique font that only tunes with your current OS, this would be the worst choice. The most convenient one is to use the TrueType fonts since it can be printed clearly and due to the dimensions of the fonts they are easily readable, as they are in the vector form. Eager to use the Microsoft Windows Fonts i.e. TrueType Fonts in Ubuntu machine? The reason behind this can be many, it can be a compatibility issue, fond of using it, etc. 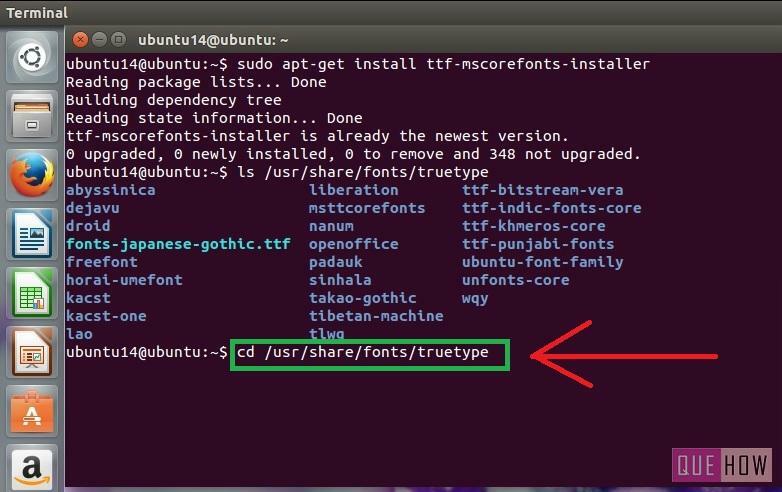 The Ubuntu lets it users to install the TrueType Fonts, as Linux is an open source community, wherein the common users and experts make modification, thereby making it more user-friendly. So, there’s no issue to use TrueType Font in Ubuntu machine. 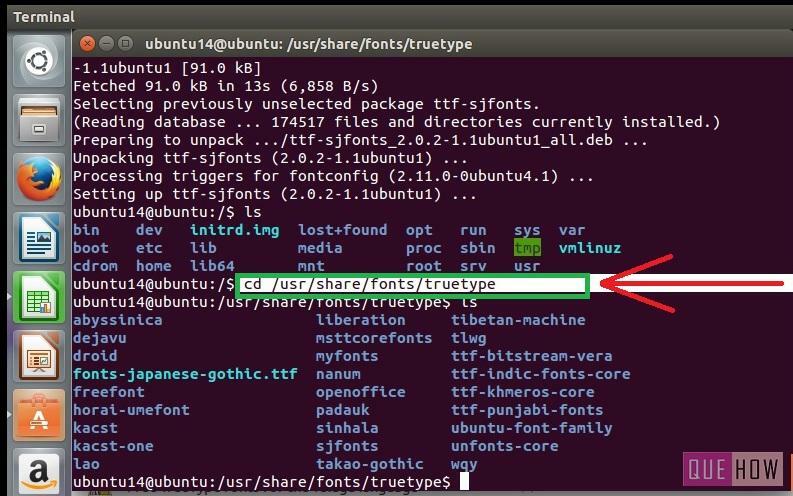 In this article, I’ll discuss about how to install TrueType Fonts in Ubuntu using the Terminal. There are basically two main methods explained over here. The other one is to explicitly install a specific “ttf” of your choice. 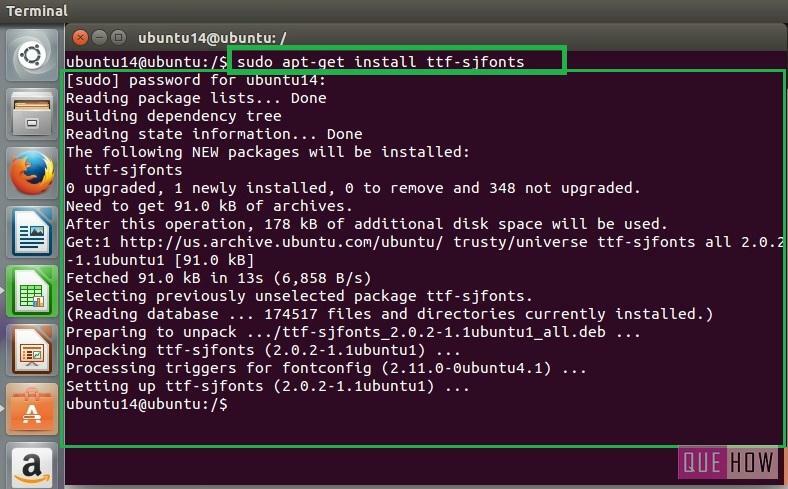 Step 1: Open your terminal and type the command: “sudo apt-get install-ttf-mscorefonts-installer”, and press enter. In my system, the Microsoft TTF is already installed, so, I just need to manually configure these fonts. Step 2: Once you have installed the TrueType fonts, check it out inside the path “/usr/share/fonts/truetype”, normally true type fonts get stored in this location. Step 3: You”ll see the “ttf” fonts as a result of the above command. Step 4: Now switch to the location where truetype are available, this can be done using the command “cd /usr/share/fonts/truetype”. Step 5: It is suggested to keep your installed fonts in a special directory created by yourself. For that, create a directory and write “sudo mkdir myfonts,” then press enter. The term ‘mkdir’ is the abbreviation for make directory and here myfonts is the name given to the directory. Step 6: Once you are done with the above steps, change the directory by “cd myfonts” to go inside this particular directory. Step 7: It’s time to copy the fonts to “myfonts” directory for which it is created. Type the command cp /usr/share/fonts/truetype/*.ttf . .
As you know, to copy a specific content we use ‘cp’ . One of the extra character is used here, i.e. “*” which stands for all, it copies all the file having the .ttf extension. ‘. (Dot)’ is inserted in the last, this will copy the files to a working directory, in which we are. Step 8: To list the content use “ls”, the result will be visible to you. -f: Used to forcefully regenerate the cache file and overrides the timestamp as well. Step 10: To check, open any LibreOffice tool and check for the TrueType fonts like Times New Roman, Comic Sans MS, etc. 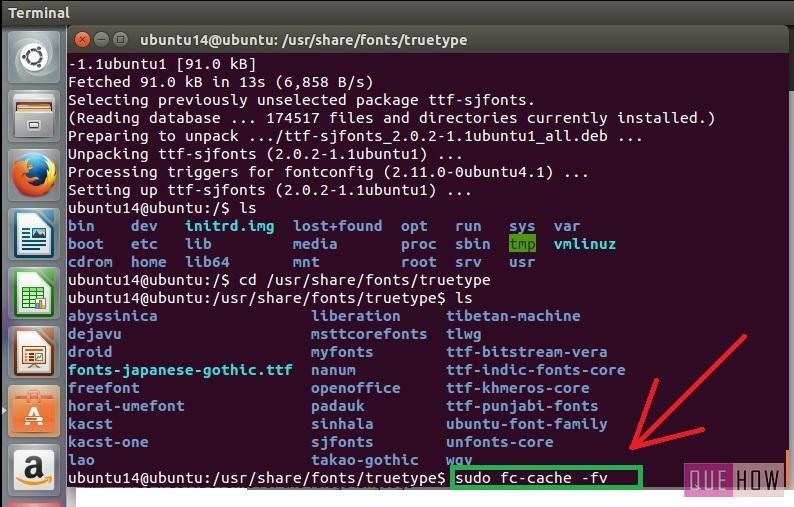 Step 1: Open up the “Ubuntu Software Centre” and search for “ttf fonts”. 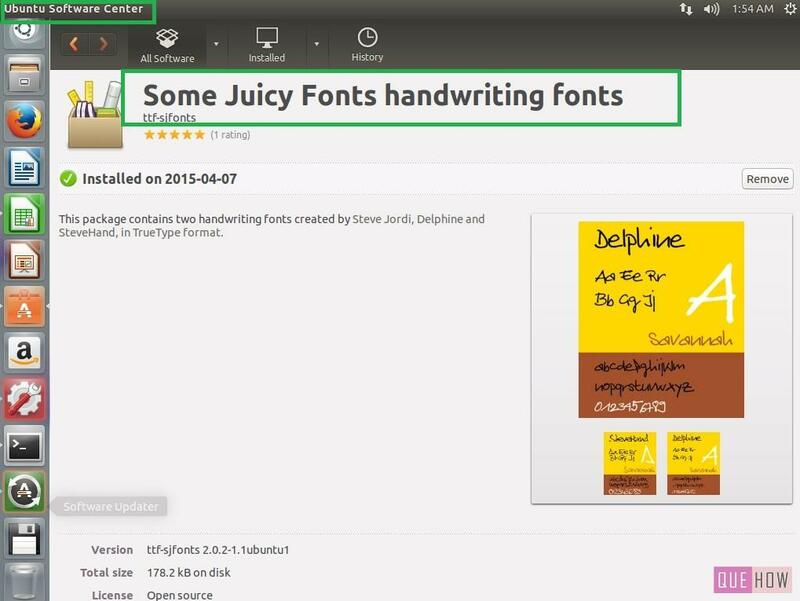 Then you”ll see the fonts available for Ubuntu system which you can download. 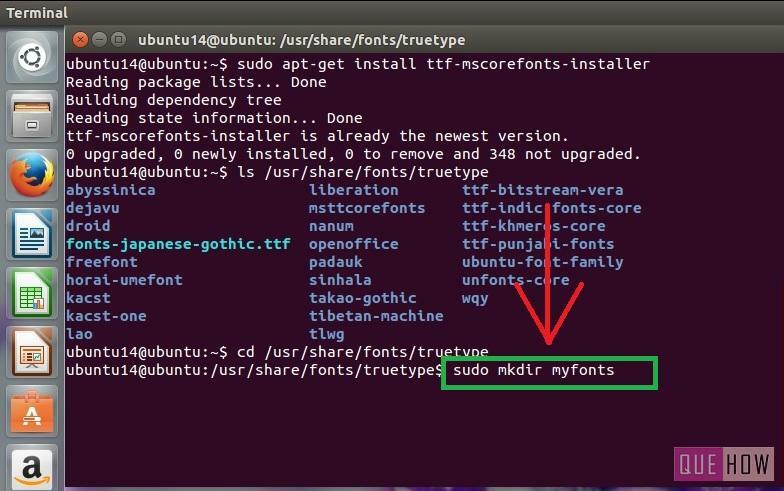 Now open the terminal, type:“sudo apt-get install ttf-sjfonts”, to install the sjfonts acronym for Some Juicy fonts, the purpose is, to have a creative and funky handwriting named Delibia, Steve, etc. You can install it from the Software Center as well. Step 2: Now change the directory to look whether it is installed or not. Write “cd /usr/share/fonts/truetype”, hit enter. Type ‘ls’ to list the items. Have a glance, surely you’ll find “sjfonts”. Step 3: If want to copy the installed font to “myfonts” directory, follow the step 6 & 7 of Method 1. 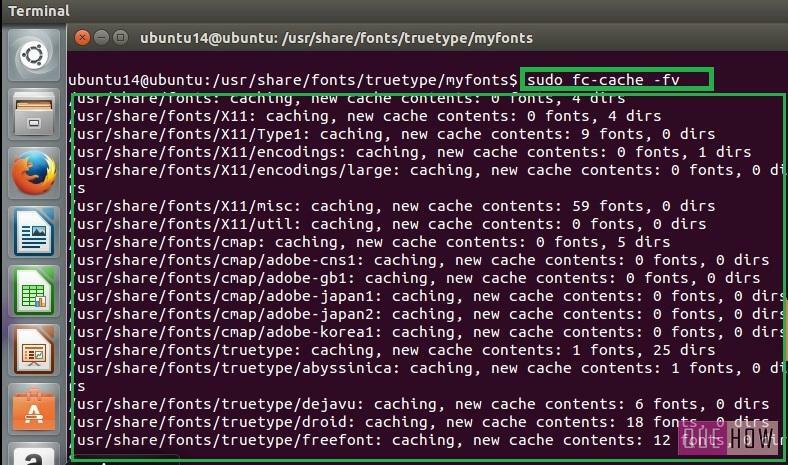 Then update the font cache file, using “sudo fc-cache -fv”, and press enter. Step 4: In the figure below, I showed you the snapshot of the “sjfonts” which is installed in our system, so that you would not encounter any doubt in your mind, about the handwritings which we have talked about in step1. Step 5: Well, that’s it, guys. You may check that the fonts are available in your Office tool.